2015년 1월 기준 제주의 외국인 수는 19,903명으로 외국인 증가율 전국 1위이다. 이는 2002년 국제자유도시로 지정되면서 섬이라는 닫힌 공간에서 열린 공간으로 변모했고 이 과정에서 결혼이주자, 이주노동자, 새터민의 이주가 늘어난 배경이 된다. 한편, ‘타자로서의 거리두기’라는 사회적 분위기로 다문화 연구조차도 이주민에 대한 이해가 부족한 채 표면적 분석에 치중하는 지배집단 관점의 연구 경향이 있다. 이 연구는 연구 대상과의 접촉이 없는 엘리트적 연구 관행이나 현장과는 동떨어진 이론적 비평 중심에서 벗어나 현장에 주목하는 비판적 관점을 바탕으로 진행했다. ‘초점집단면접’을 통해 제주지역 결혼이주여성의 다문화 재현에 대한 반응과 그들의 미디어 이용, 사회관계, 정체성에 대해 그들의 관점에서 이야기를 듣고 해석했다. 연구 결과, 결혼이주여성은 취업이나 생활정보, 한국어 등에 대한 정보욕구가 강했다. 이들은 한국사람의 흥미를 위한 각본에 따라 다문화 방송 프로그램이 제작되어 이주민이 불쌍하고 무능력하다는 고정관념이 전파된다는 점을 강하게 비판했다. 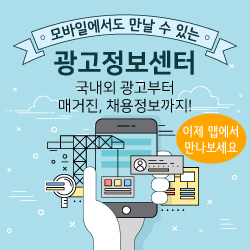 이들은 텔레비전, 인터넷, 소셜 미디어, 스마트폰으로 정보와 문화 욕구를 충족하고 사회관계를 맺고 봉사활동 등 다양한 활동에 적극 참여하고 있었다. 또한 미디어를 통해 출신국의 영화 등 문화나 뉴스도 꾸준히 접했고 한국에서의 ‘타자화’ 경험과 결합해 고유한 ‘문화 간’ 정체성을 구성, 협상했다. 또한 이주민의 커뮤니케이션 권리 강화를 위해 미디어교육을 통해 역량을 갖춘 이주민이 지역방송의 프로그램에 다양한 역할로 참여해야 한다고 주장했다. ‘다문화’라는 ‘호명’이 부적절하며 결혼이주여성이나 이주민이 가진 고유한 정체성과 문화적 역량을 지지하는 방향으로 호명이 변화해야 한다고 주장했으며, 제주의 방언과 특성을 감안한 맞춤형 언어교육과 문화와 소통 프로그램의 편성도 제안했다. The number of foreigners in Jeju province is 19,903 in January, 2015, and the growth rate is the highest in the nation. The number of foreign workers, international marriage workers and North Korean defectors in South Korea has been increasing as a combining result of Jeju’s being international free city in 2002 and the transformation of becoming an open society from a closed space as an Island. The research of multicultural issues has focused on surface phenomena without sufficient understanding of immigrants as a result of keeping distance from ‘Others’ in Korean society. This study is based on a critical perspective as opposed to elite centered research practice or just theoretical critique. Based on focused group interviews, this research paid attention to international marriage women’s perception and their media use, social relations and identity, and interpreted their stories from their perspectives. Research participants showed strong information needs for job search, daily life information and Korean language learning, and criticized that multicultural programs were produced according to scripts following Koreans’ interest and spreaded stereotypes that immigrants were poor and helpless. They satisfied their information and cultural needs through television, the Internet and smart phone, built their social relations and participated in social activities, including volunteer work. Also, they accessed their native countries’ culture, such as movies, as well as news through media activities on a regular basis, and were constructing and negotiating their intercultural identity based on their experience of being ‘Others’ in Korea. To strengthen international marriage women’s communication right, research findings suggested that immigrants should participate in local media’s program production as divers roles after they developed their media capacity through media education. In addition, research participants emphasized that the naming of ‘multicultural’ was not appropriate and should be changed to support immigrant’s unique identity and cultural power; they also suggested tailored language education and culture/communication program considering Jeju’s dialect as well as local and cultural distinctions. 위 자료는 가 저작권을 관리하고 있습니다.